CivilizationMesopotamian Early Dynastic, 3500 B.C.E. - 2700 B.C.E. 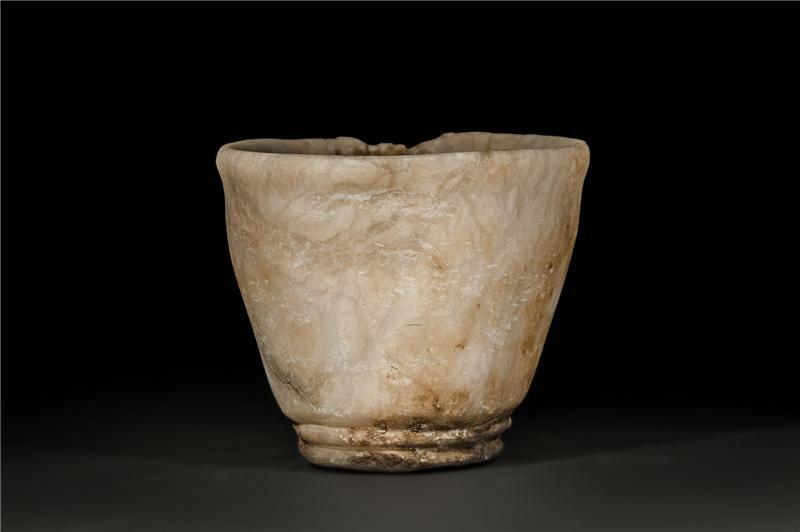 Under a strong light, the smoky natural patterns of this Mesopotamian alabaster beaker contain many hues as soft creams mix with dark coffees for an aesthetic that is decidedly delicious. Carved sometime during Mesopotamia’s early dynasty over 5000 years ago, this small vessel was once held by the ancient hands of one of our early-civilized ancestors. Only 10.5 cm in height, this small beaker is a remarkable relic from an ancient age. 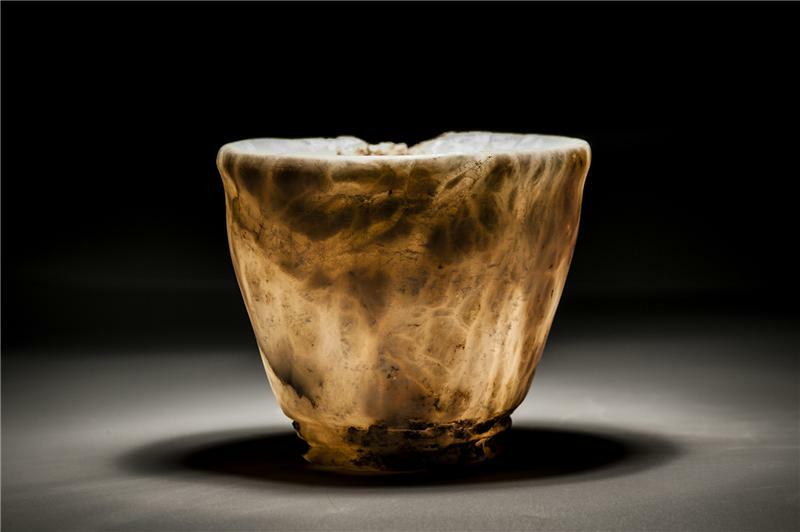 The exterior is smooth yet subtly rippled by the alabaster’s natural texture. The edges are softened with age, yet this piece has been expertly cleaned and remains in excellent condition.